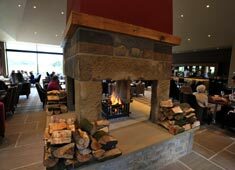 Coniston Hotel is a 4 star hotel set in a 1400 acre estate in the beautiful Yorkshire Dales. 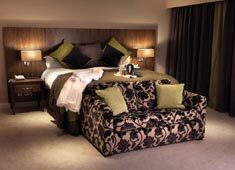 Winner of Yorkshire's Best Large Hotel Award, it offers a perfect rural escape in luxurious accommodation. There is a range of hospitality, from a last minute Dales Dash for a night's Dinner and B&B with three available restaurants, to a wonderful venue for weddings and corporate events. Why not complete your country stay by booking one of our countryside activites - see below. 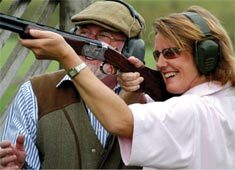 Activities on the Coniston Estate The hotel is part of the 1400 Acre Coniston Estate and is home to a CPSA Premier Plus Shooting Ground, Falconry Centre, The Coniston Off road experience, Fly-Fishing on the 24 acre lake or River Aire, Archery and mountain bike hire with your own guide. All activities are instructor led and they are excellent at teaching all levels from beginners to the more experienced guests. There are walking and cycle trials across the estate and estate maps are given to the guests. It is a short drive to Malham with its famous cove and tarn, Settle with the Yorkshire Three Peaks and Skipton with its medieval castle, market and colourful Leeds Liverpool Canal Basin. 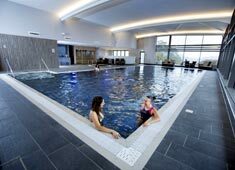 The Coniston Spa and leisure facility will open in October 2015.